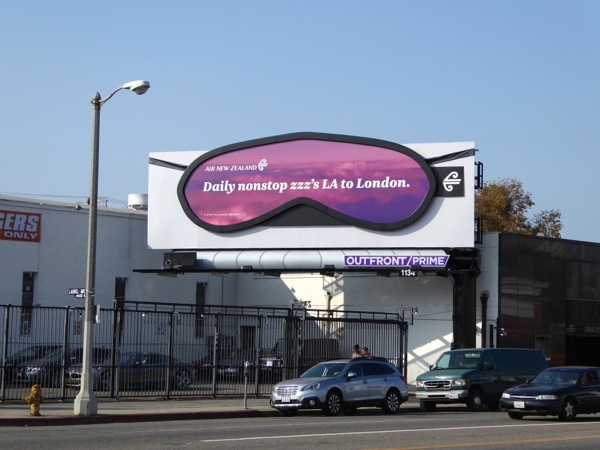 Now this is a refreshing sight, it's not often that you see an airline having some fun with their out-of-home advertising. 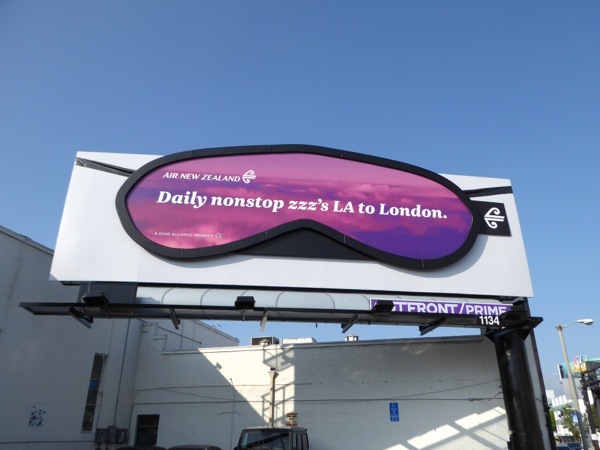 This fun 3D sleep mask embellishment was custom-built by our friends at Atomic Props & Effects and is a great way to draw attention to Air New Zealand's daily nonstop flights across the Atlantic from L.A. to London. 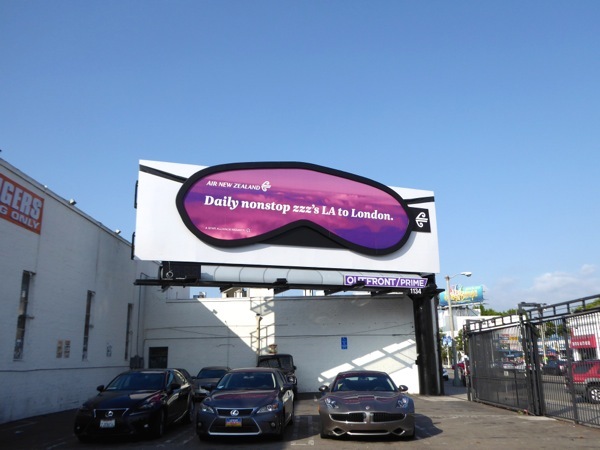 The special sleep mask billboard installation was first snapped on October 14 along the busy Beverly Boulevard, whilst the standard 'London never sleeps' ad creative was spotted above Highland Avenue on October 19, 2015. 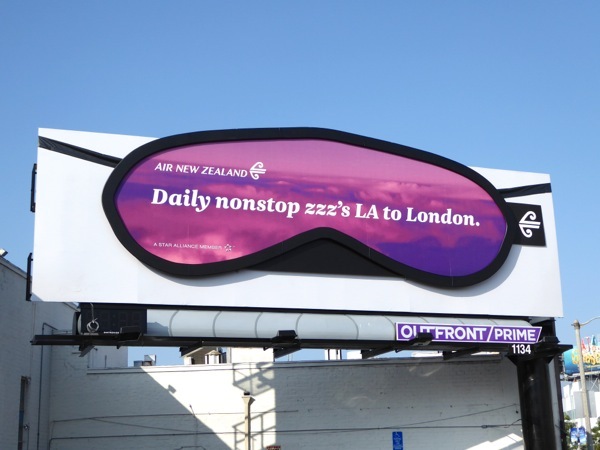 It's true, you really do want to get some quality zzz's in on the flight to the U.K., as that jet lag from the eight hour time difference from the West Coast of America can be a killer. 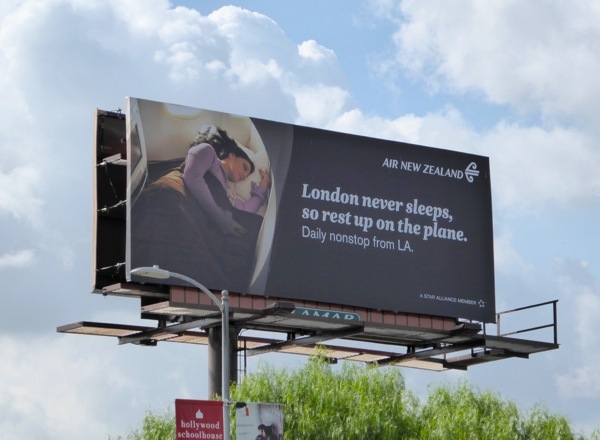 For more airline ad campaigns, be sure to also check out these Virgin America billboards and these Emirates Airlines billboards from recent years. Wishing you all happy travels in the land of nod.